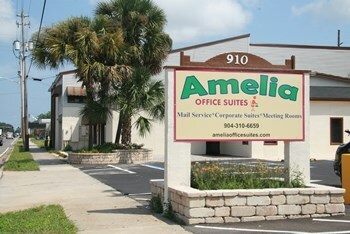 Amelia Office Suites offers affordable professional office space. If you own a small business that needs a professional image or you've decided you need more that a home office, Amelia Office Suites has the solution. Chose from affordable Standard single occupancy offices to Deluxe 1-2 person suites. 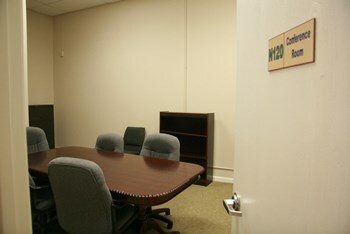 Packages include utilities, high speed wifi, break room, meeting and conference rooms, and mail service. Flexible terms means you can lease by the month or annually. Virtual Offices give your business an office presence including legal address, phone, internet and mail service but without the office. Offices can be fully set up with desk, chair, phone, printer, fax and scanner or customized to suit your needs. Suite Packages include conference and meeting room use rights at discounted rates. We also offer conference or meeting rooms for seminars and one time events, with or without a contract. 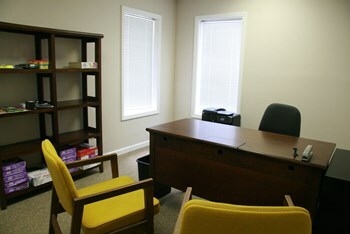 Contact Amelia Office Suites to see how we can meet your office space needs today.